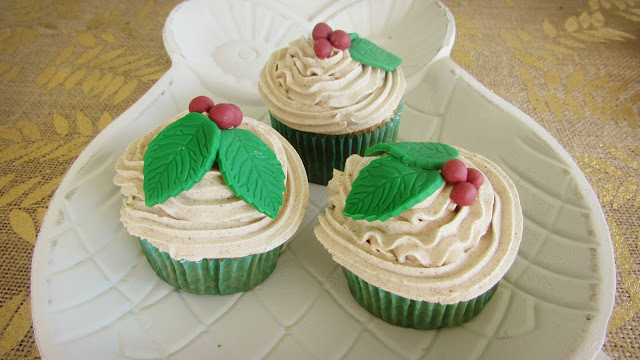 Are you looking for some Christmas inspiration? Well my friend, you have come to the right place. 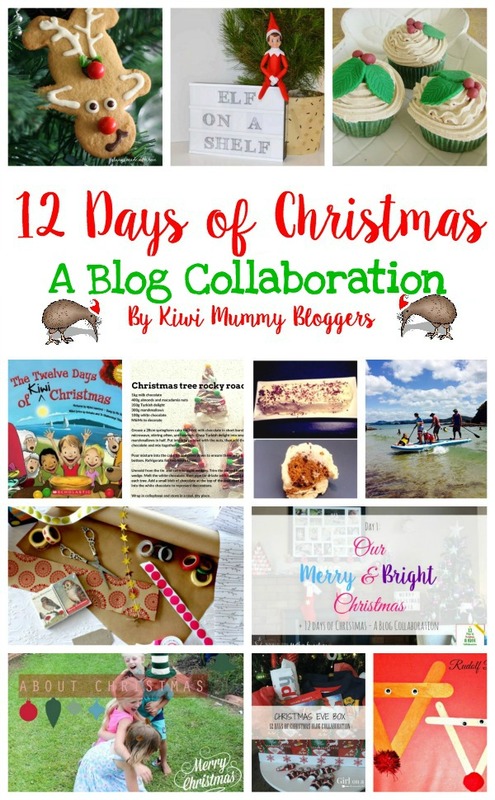 I have recently joined 11 amazing Kiwi Mummy Bloggers to bring you '12 Days of Christmas - A Blog Collaboration'. In this collaboration, you will find a great range of ideas to inspire you and get you ready for Christmas. 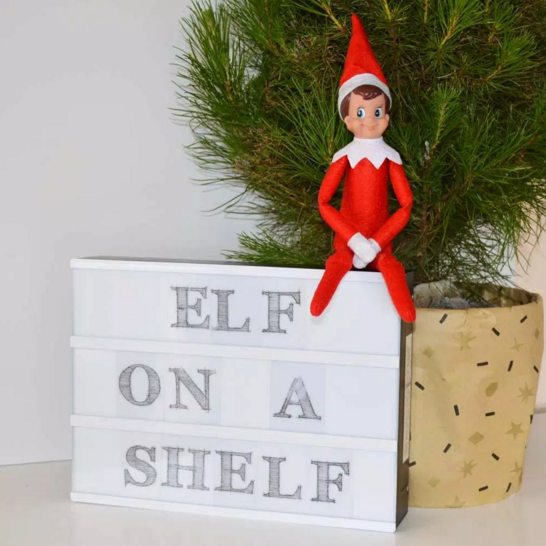 From decorating your home, getting creative in the kitchen to gift wrapping ideas and sharing family traditions, plus everything in between - we have got you covered. So, grab a cuppa, get comfortable and let US inspire YOU this Christmas. Simply click on the images or links below to be directed to the original post. 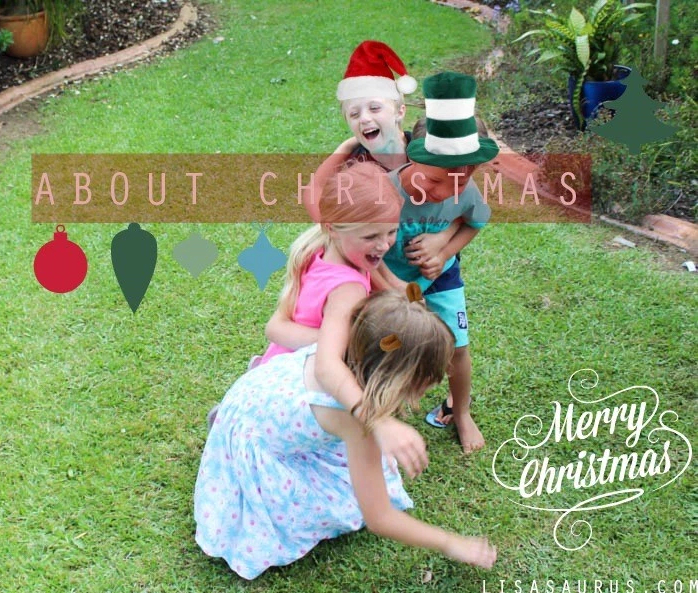 Sharing 'Our Merry & Bright Christmas' - A Home Tour + a few tips for getting organised this Christmas. 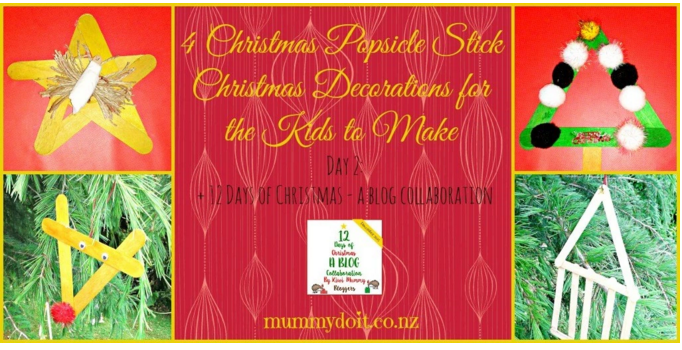 I am totally adding popsicle sticks to our Christmas Craft Box. The kids are going to have a lot of fun making these awesome creations! 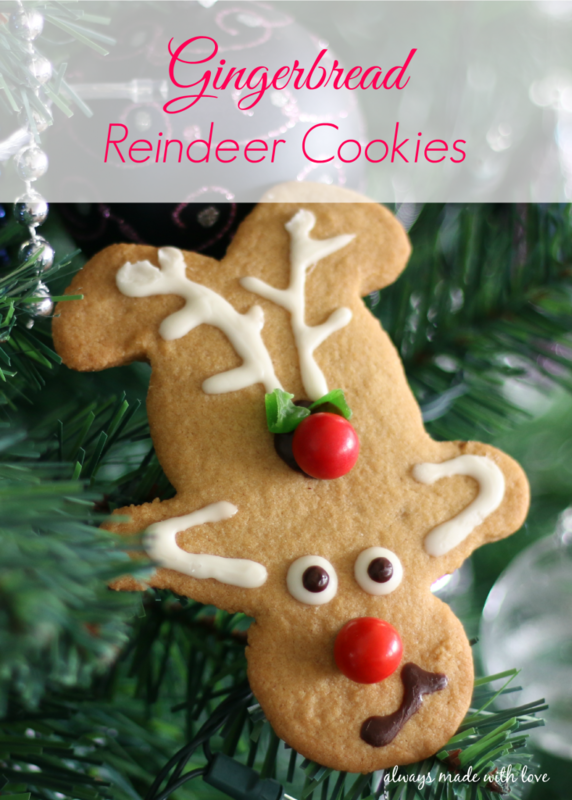 How cute is that Rudolph the Red Nose Reindeer? 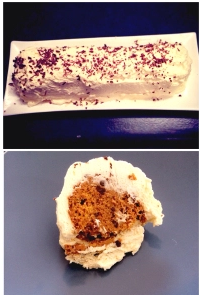 If you love coffee & cake - then you will love this...Natasha is sharing her favourite treat, and it looks so good! Lisa is sharing some of her 'most loved traditions' she does with her own family. We have a few family traditions, like decorating the Christmas tree on the 1st December & opening one present on Christmas Eve. What about you? Do you have any family traditions? I love the idea of creating a box of goodies for your child to open on Christmas Eve - to prepare them for Christmas Day. 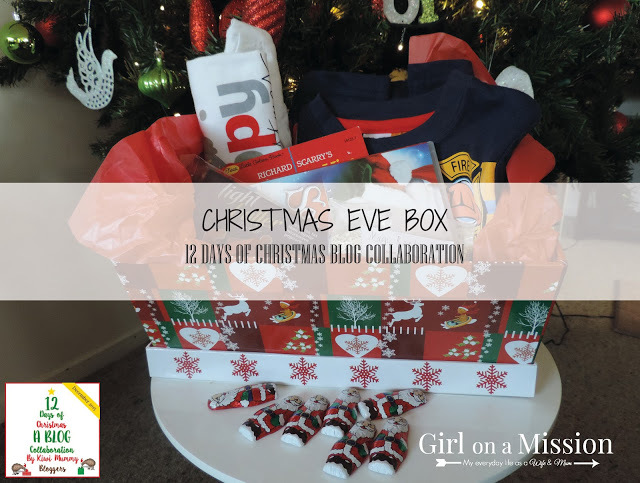 Claire is sharing what she has put in her son's first 'Christmas Eve Kids Goodie Box' over on her blog. Have you made these boxes before? What do you put in your 'Christmas Eve Box'? How cute are these? Lydia is sharing a super easy gingerbread cookie recipe over on her blog. A perfect Christmassy treat for your kids. 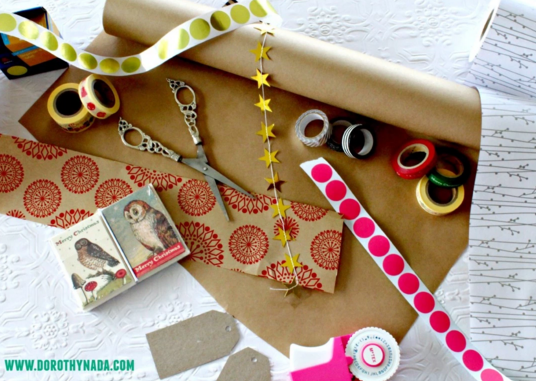 I am loving this collection of brown kraft paper gift wrapping ideas that Leigh-Ann has put together. I have wrapped a couple of gifts using brown paper & ribbons, and it's becoming a favourite. What about you? What style of wrapping are you going with this year? 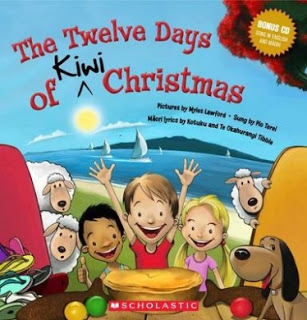 If you are looking for an Advent Calendar that doesn't involve sweets or chocolate...check out Simone's amazing collection of Christmas Books, she has selected for their family tradition. This is a family tradition of ours too...wrapping 12 books and putting them under the Christmas tree - opening one book each night and reading it together as a family. It is such a great idea! START TODAY! 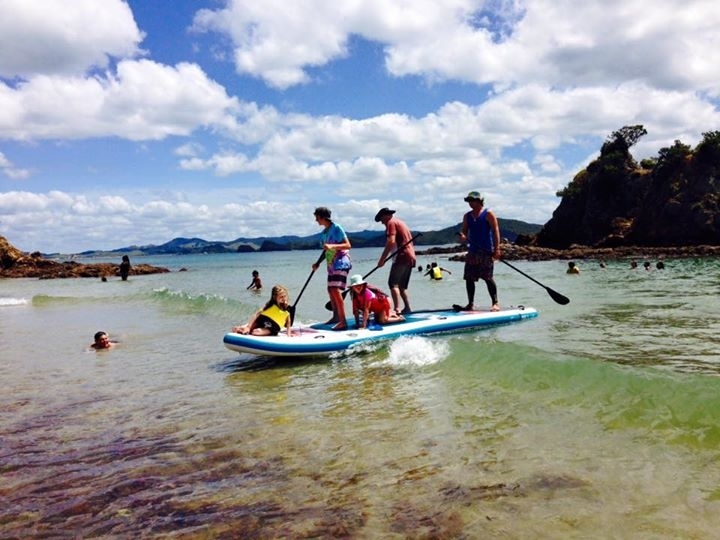 Do you have an adventurous/outdoorsy child in your family? Michelle is sharing some great gift ideas over on her blog. Check them out today! 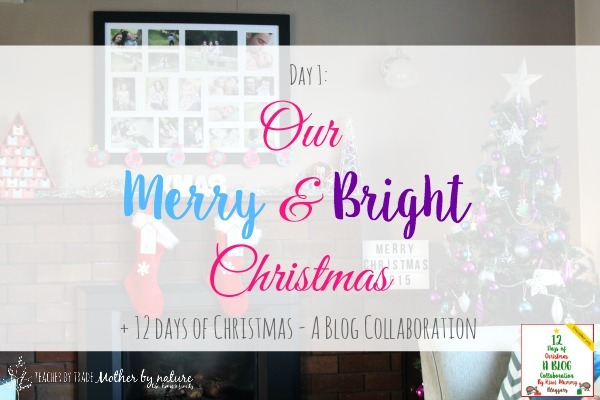 Thank you for visiting the '12 Days of Christmas - A Blog Collaboration', I do hope you enjoyed yourself, and found some inspiration along the way. 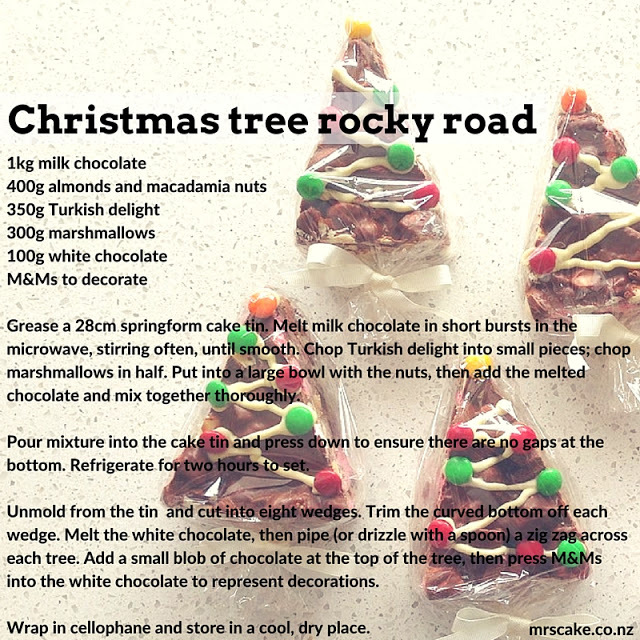 Be sure to PIN and SHARE our posts with your friends and family, who might need a bit of Christmas inspiration, too. Remember to click the links or images above to be directed to the blogger's original post. And lastly, a massive thank you to all the amazing Kiwi Mummy Bloggers involved in this collaboration. You are fantastic and it has been great working with you all.